The 53rd Annual Grammy Awards was the top show of the week with an overnight, estimated average audience of 3,258,000 viewers Sunday night on Global. February is a busy month of Sunday blockbusters, with CTV scoring huge numbers for last week’s Super Bowl and the Academy Awards coming up at the end of the month. Big event programming is up this season on both sides of the border. Some old reliable series, however, are starting to show their age. Desperate Housewives seems to set a new low every week, with numbers down too for Grey’s Anatomy and CSI: New York. 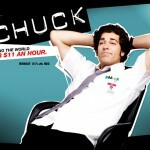 CTV also has to be concerned about rookie shows that seem to perform well in Canada–S#*! My Dad Says and The Defenders come immediately to mind–that could wind up canceled in the States. Live sports continues to score, too, especially if the blue and white are playing. The Toronto Maple Leafs drew close to 4.5 million viewers this week in four games spread over three networks. 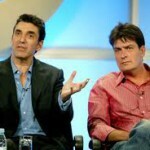 Hey Charlie Sheen, another reason to party: Two and a Half Men was the No. 1 show on TV in Canada on this night, scoring an overnight, estimated 2,285,000 viewers. He should hammer on some studio doors in Canada, we’d let him in, get him on a strict Canadian beer diet. No. 2 on the night was House with just under two million viewers at 8 on Global. Mike & Molly weighed in with 1,719,000 following Men on CTV. Castle at 10 scored close to 1.8 million for CTV. Hot in Cleveland stayed hot on CTV with over 1.5 million. The new cop drama The Chicago Code did 1,449,000 on Global, with Hawaii FIVE-O right behind at 1,470,000. Matthew Perry’s new comedy Mr. Sunshine opened with 1,374,000 on CTV at 8, which was a drop of about 600,000 from Cleveland‘s take in that slot a week earlier. A strong night for both CTV and Global kept CBC scores low. Little Mosque on the Prairie, which somehow made CBC’s stealth renewal list last Friday, was down to 417,000 viewers. 18 to Life, which didn’t make the cut, did 240,000. This family comedy should have been tested at least once on a new night. How many times did darling Erica get shifted away from timeslot turmoil? The Week the Villagers Went and Dieted did 508,000. G. Stroumboulopoulos, renewed for life as it sheds pounds and viewers, counted 94,000. City’s high score was 688,000 for The Bachelor. Auction Kings on Discovery outdrew Little Mosque (438,000). So did a Leafs game (616,000) and a Canucks game (508,000) on regional Sportsnet broadcasts. So did SpongeBob SquarePants on YTV (467,000). Global had a big night, CTV not so much. Glee was the top show with over two million viewers, followed by NCIS Los Angeles (1.9 million). The Good Wife was good for 1,463,000 at 10. CTV saw No Ordinary Family hit a new low at 8 with exactly a million estimated viewers. That led into Law & Order: SVU at 1,082,000. The Toronto-lensed drama The Listener returned for a second season at 812,000. Props to CTV for getting this on in season as opposed to tossing it into the summer mix, but how long will the network be patient at under a million on a Tuesday night? Especially when the night is launched with CTV supper hour newscasts which collectively draw a shade under two million viewers. Only Glee did better than the CTV Evening News Tuesday across Canada. CBC had another strong outing from the Rick Mercer Report at close to 1.3 million. InSecurity, renewed on Friday, pulled 449,000. These early renewals seem more based on funding deadlines than numbers but good on CBC for giving this spy comedy more time to find its feet. Pillars of the Earth, no Tudors so far, came in at 563,000. City’s big gainer was The Biggest Loser at 608,000. American Pickers found 511,000 on History. A Leaf game scored 602,000 on Sportsnet Ontario. American Idol did 2,828,000, marked down from over three million the week before. It’s slipped a bit last week in the States, too. Criminal Minds was strong at 2,380,000. CTV closed the night with 1,583,000 for Blue Bloods. The new Tom Selleck cop caper did better on Fridays, especially in the States. CBC got off to a roaring start with Dragon’s Den (1,668,000) followed by another solid tally for Alan Hawco’s renewed cop caper Republic of Doyle (854,000). Global found 1,037,000 Wednesday for Off The Map. Otherwise Wednesday they were off the map. City got a robust 932,000 for TV’s best comedy, Modern Family. Where’d everybody go for Cougar Town (301,000)? Maybe to catch the end of a Montreal/Boston game on TSN (725,000). The Human Target season (series?) finale drew 610,000 Wednesday to /A. Paula Abdul’s forgotten Live to Dance came to a halt with 147,000 /A viewers. Dawg! Big Bang Theory, second only to the Grammy Award take this week, exploded to 3,123,000 overnight, estimated viewers. That drove CTV to another monster Thursday with big takes for S#*! My Dad Says (2,247,000), Grey’s Anatomy (2,192,000) and The Mentalist (2,379,000). Tucked away at 7:30 p.m., CSI still found 1,318,000. That rattled Bones (1,354,000) and Wipeout (742,000) on Global, with NBC 10 p.m. comedies The Office (394,000) and Outsourced (465,000) clinging to their decent demos. American Idol‘s hidden results show did 1,368,000 on /A. Man, CTV got screwed when Fox shifted Idol out of Tues-Wed. Those busy Leafs drew 923,000 over to TSN. Imagine if this team ever made the playoffs? CBC did their usual 400,000 to 450,000 with Doc Zone and Nature of Things. That 30 Rock episode where they goofed on Canada did 384,000 on City. CTV does well on Fridays with The Defenders (1,610,000), with guest judge Dan Aykroyd, and CSI: New York (1,784,000). Doubling up on Blue Bloods in one week pulled 1,354,000 at 10. CBC’s Marketplace should investigate itself after another close to a million tally on Fridays. Rick Mercer Repeat did 727,000. that fifth estate Olympic finger pointer did 536,000. Fringe Friday did 562,000 on /A. Hannah Montana pulled 501,000 on Family. Global also airs shows Fridays. One of them, Haven, did 249,000. Hockey Night in Canada first game: Toronto @ Montreal 2,282,000. Second game Calgary @ Vancouver 1,446,000. Those all Canadian matchups are gold. The Grammys on Global (3,258,000) put a dent in everybody else’s night. With plenty of Canadians in the mix, the U.S. music award show was up 21% year-to-year nationally and in the Toronto market. Even though it aired before the Grammys, CTV did just 798,000 for their Sunday night Olympic flag waver (memo to CTV: the Vancouver Games are OVER). Desperate Housewives did 1,297,000. CBC managed 770,000 for Heartland. The movie Bookie’s Crush got crushed (280,000). Never underestimated America’s Funniest Home Videos, which pulled close to 700,000 at 7 on City. Are today’s critics sitting too close to the screen? The head of the CBC is sleeping with the lead actor from Mosque. How is that not a conflict of interest? The show will continue to get picked up while embarrassing us all. What about the ratings for the Ottawa-Edmonton game? The afternoon Ottawa-Edmonton HNiC game drew 845,000 viewers.